Pylons will no longer be part of the VISTA in the National Park. Overhead power cables and pylons will almost all be underground in the Cairngorms National Park, if a funding application gets the go ahead. 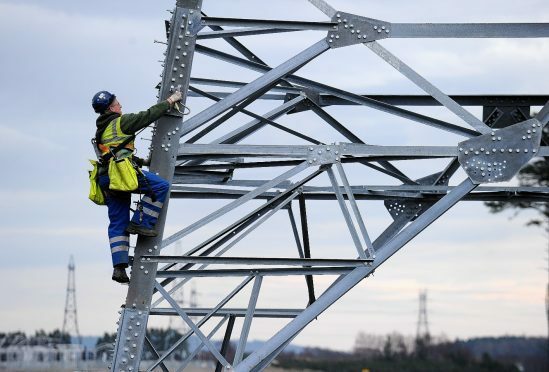 Scottish and Southern Electricity Networks (SSEN) has submitted two funding applications which, if successful, will mean the vast majority of historic overhead steel lattice towers, or pylons, in the park will be removed – with cabling rerouted under the ground. The application has been made to electricity and gas markets regulator, Ofgem, under its funding opportunities to mitigate the impact of existing electricity infrastructure in National Parks and National Scenic Areas. SSEN’s first Cairngorm VISTA proposal would remove 15 steel lattice towers and approximately two-and-a-half miles of overhead line between Docharn and the Boat of Garten substation. The second scheme would remove a further 31 steel lattice towers and approximately five miles of overhead line between the Boat of Garten substation and Craigmore Wood, to the north of Nethy Bridge. Euan Smith, who is leading SSEN’s Project VISTA, said: “We are delighted to have submitted our Cairngorms National Park VISTA proposals to Ofgem for consideration. “If funding is approved for both schemes, this innovative project will result in the removal of an additional 46 historic transmission towers within the National Park’s boundary covering a combined distance of seven-and-a-half miles. Welcoming the news, Grant Moir chief executive of the Cairngorms National Park Authority said: “We are pleased to see that these applications have now been submitted. “They will build on the good work following the construction of the Beauly to Denny line, where some 300 towers were taken down.